Recent press headlines (The New Today) – “Corruption at the CCJ?” flanked by an enigmatic bust of the President of the CCJ, Sir Dennis Byron and a smiling one of Mr Cabral Douglas BA, LLB — intrigued me. What, I thought, someone caught with his/ her hands in the kitty? But what about that Trust Fund? Impossible! The CCJ is undoubtedly a giant step forward for us, but if there be ill in it, we must address it. So, I read on and then the reflections set in. Hmm…, so easy for a disgruntled litigant to call foul and yet, in the interests of democracy and sanity one must be chary of dismissing any cry especially one which seeks to tarnish one of our fundamental institutions, without at least a cursory investigation. Add to that, the fact that Mr Douglas is a lawyer, ostensibly a responsible person who is presumed not to make base charges heedlessly. Mr Douglas’s reasons as reported for levelling corruption charges against the CCJ are these. The decision in his matter was absurd coupled with the fact that the President of the CCJ attended a meeting of the Conference of Heads of Government of the Caribbean Community in Georgetown, Guyana in February 2017 at which representatives of the Government of Dominica were present, and that on the morning of the meeting the President had announced that the CCJ would deliver the judgment the next day, which it did. Mr Douglas can then be taken to be saying that because of these conjoint circumstances what we are seeing is the appearance of corruption at the highest level. He who asserts must prove. Second, what is judicial bias in law? “The question is whether the fair-minded and informed observer, having considered the facts, would conclude that there was a real possibility that the tribunal was biased”. And these principles, relatively recently (as law goes) were affirmed and applied by the Privy Council in The Belize Bank Limited (Appellant) v The Attorney General of Belize and others (Respondents). UKPC PC. Lord Kerr, delivering a majority decision and commenting on the Porter v Magill test and some of the cases applying it, emphasised that the notional observer must be presumed to have two characteristics: full knowledge of the material facts and fair-mindedness. And further that she is neither complacent nor unduly sensitive or suspicious. And overall that the concept of apparent bias does not rest on impression based on an incomplete picture but on a fair and reasoned judgment formed as a result of composed and considered appraisal of all the relevant facts. The court also stressed that our notional observer was not an insider but must rely on facts readily available to the public. I turn to some of the facts I ascertained from the public forum. The basic facts of the case can be gleaned from the judgment of the CCJ in Application No DMOJ2016/001 Cabral Douglas v The Commonwealth of Dominica, to be found on the court’s website. Mr Cabral Douglas is an entrepreneur in the entertainment business in the Commonwealth of Dominica (Dominica). He engaged a Jamaican group based in Jamaica to participate in an international concert in Dominica. The group with its leader, Mr Leroy Russel, better known as Tommy Lee Sparta, was the main attraction. The concert was to be held at Portsmouth in February 2014 to mark the opening of the town’s annual carnival. Mr Russel and his entourage duly arrived at an international airport in Dominica on 23 February 2014. However, they never made it to the concert as the Immigration authorities denied them entry, detained them and deported them the next day. Mr Douglas had to cancel the concert. 2 and a half years later, on 24 August 2016, Mr Douglas applied to the CCJ for special leave to institute proceedings in its original jurisdiction against Dominica. His amended claim, as set out in the judgment, can be summarised as follows. Mr Douglas claimed that in November 2013, he, as owner of his privately-owned entertainment business and relying on Articles 7, 36, 37 and 45 of the Revised Treaty of Chaguaramas (the RTC) had contracted with a Jamaican firm for the appearance of Mr Russell at the Portsmouth concert. And, that in refusing Mr Russel entry, Dominica had violated the said Articles and in addition had acted contrary to a Decision of the Conference of Heads of Government of the Caribbean Community taken at their 28th Meeting held at Needham’s Point, Barbados, July 2007. Mr Douglas argued that those provisions contained rights or benefits intended for his benefit as a proprietor in the entertainment business seeking to contract freely with skilled nationals pursuant to the RTC and that this infringement caused him consequential financial, reputational and other loss. We may recall that the CCJ, simply put, has two jurisdictions. One, it is the original and final court on all issues dealing with the interpretation and application of the RTC. In the exercise of this original jurisdiction, the CCJ functions as an international tribunal applying rules of international law. And two, the CCJ serves as the final appellate court of all parties to the RTC which have constituted the CCJ their final court of appeal instead of the Privy Council. Interestingly, Dominica, unlike say Grenada or Jamaica, has engaged both jurisdictions of the CCJ. 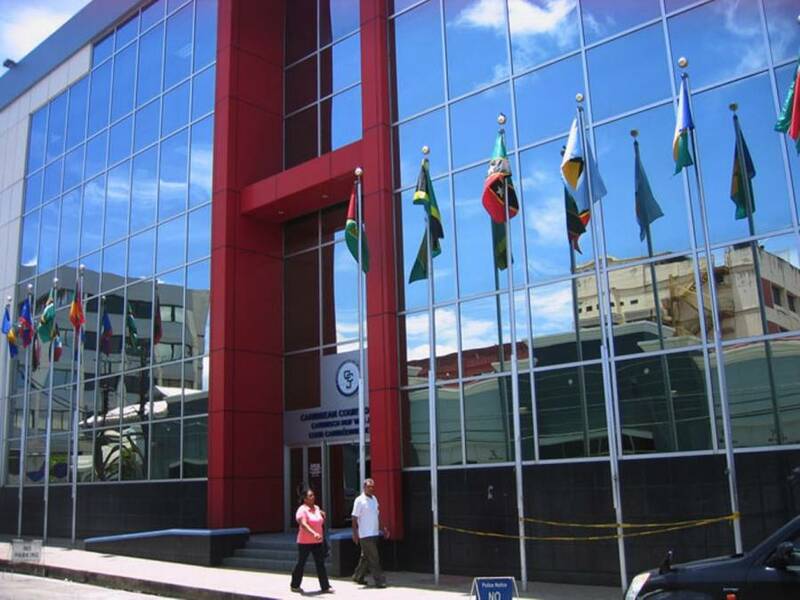 Be that as it may, any national of a CARICOM state who wishes to engage the CCJ in its original jurisdiction needs special leave from the CCJ as the RTC in the main only confers treaty rights on state parties or member states, not private persons. Mr Douglas had to cross this hurdle first by establishing that he had satisfied Article 222 of the RTC. Dominica opposed his leave application in every respect. And, in due course the parties filed written arguments, a public hearing was held via video conference on 12 December 2016.The Community’s representative, Ms Gladys Young, Attorney-at-Law, also made representations. The court reserved its decision. On 20 February 2017, the CCJ (composed of D Byron, President, A Saunders, J Wit, D Hayton and W Anderson) delivered an 18-page judgment denying the application. The decision was unanimous. I am not competent to dissect the legal niceties of the judgment and its ramifications on the development of our Community law and must leave it to those versed in Community Law and in international law to do so. (Mr Douglas I note wisely did not argue his own case, but left it to the able hands of Leslie Thomas QC and his junior. Suffice it to say that the CCJ found that Mr Douglas could not show that any of the provisions of the RTC which he alleged Dominica had breached conferred any “direct” rights on him as a national of Dominica to bring him within the ambit of Article 222. I note that the CCJ refrained from determining whether Mr Douglas could seek relief against the Government of Dominica in the national courts of Dominica. The President, as his office empowers him to do (he is the head of the CCJ, an Institution of the Caribbean Community) attended that meeting of the Conference of Heads in Guyana held on 16 and 17 February 2017. I have already referred to the way the case was heard, the length of the judgment and the result which was contrary to the expectation of Mr Douglas. Now, what may the fair-minded and impartial member of the public conclude from all those facts bearing in mind the two limbs on which Mr Douglas relies to levy his charge of corruption — illogical decision and attendance of the President at that CARICOM Heads meeting? To satisfy the apparent bias test our notional observer, after considering all the material facts carefully and without undue suspicion will have to determine that there was a real possibility that the tribunal was biased. Such a conclusion must necessarily involve the finding that there was a real possibility that the President discussed the case with Dominica’s representatives when he went to Guyana, that some advantage was held out to him or to the CCJ and that he and his colleagues produced a judgment in very short order in favour of Dominica which was wholly unmeritorious. Of course, if Mr Douglas really believes that he has evidence of wrongdoing, not only apparent but perhaps actual, who knows, by the President and the panel then we can expect very shortly to see or hear of Mr Douglas lodging a complaint for the impeachment and removal of not only the President but the other members of the panel (A Saunders, J Wit, D Hayton and W Anderson) on the grounds of misbehaviour. We must not forget that the Agreement establishing the CCJ in Article 4 makes provisions for the removal of any of the judges including the President for inability to perform the functions of his office, whether arising from illness or any other cause or for misbehaviour. The Government of a democratic country is the guardian of the public weal. However, governments must always act in accordance with the constitution. A treasured right guaranteed by the constitution is that of freedom of expression. However, we must remind ourselves that this right is not an absolute one but a qualified one. For example, you can express your opinion about me but you cannot defame me. The same applies to the judges of the CCJ.